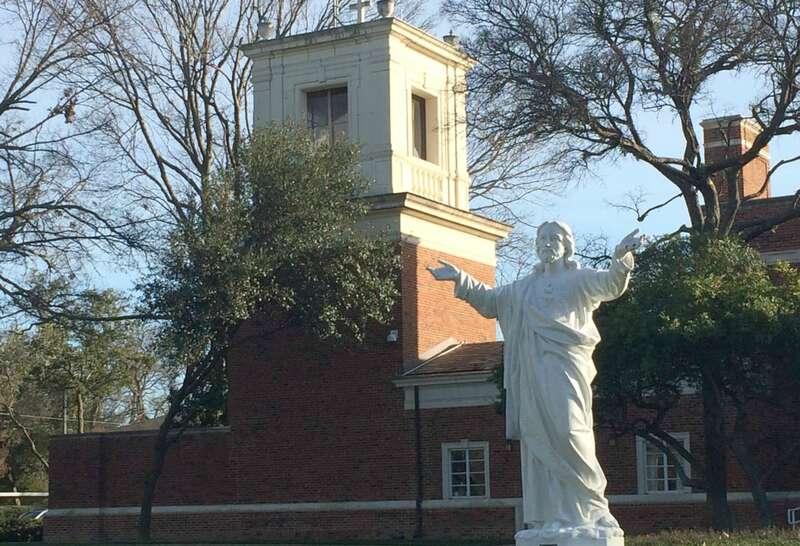 The school has offered an apology, but says what seem like pictures of students in blackface are actually "blueface"
The offensive photos stemmed from the Catholic girls school’s 1979 yearbook and appears to show an auction type fundraiser where senior and teachers sold themselves, The Dallas Morning News reports. “Slaves were at their master’s command for one entire day,” says a caption on a photo. “The slave trade became legal for one last time … as the Senior class members sold themselves along with thirteen brave and courageous teachers,” a caption read in the yearbook, titled Acres. There were two white students featured with blackened skin in one of the photos. The school released a statement by its president, Gretchen Z. Kane but also tried to explain the context, saying that students were in “blueface” in its statement. Unquestionably we regret this awful incident in our school’s history, and we sincerely apologize for the distress it has caused our students, our alumnae, and others in our Ursuline community. Ursuline Academy is a place where we strive, each day and in every way, to be sure every single student feels she belongs. We are extraordinarily proud of our student body, more than 850 young women of many faiths, ethnicities, and socioeconomic groups. We are a family characterized by inclusion and community. These values are fundamental to our mission as an educational institution and as a center of culture and faith. This comes as the Virginia Gov. Ralph Northam, faces widespread calls to resign in the wake his recent blackface scandal. He drew even more ire on social media Sunday for referring to the first Africans brought to his state as “indentured servants,” while talking about the 400th anniversary of the first Africans’ arrival to his state in an interview with CBS News’s Gayle King.